The Layla Pillow was recently reviewed by the MattressJunkie.com team. Layla has one of my favorite mattresses that I reviewed a few months prior. The Layla Pillow has the same great cover as the mattress. Layla’s mattress cover is my all-time favorite. Not only is the cover aesthetic, the Layla Pillow also utitlizes the many benefits of copper. Let’s check out the Layla Pillow in more detail below. What’s the Layla Pillow Made Of? Layla is made of Kapok fibers combined with memory foam to create a super plush, super supportive sleep surface. This is the first pillow that I have reviewed with Kapok fibers so I had to dig in and find out more about it. Kapok fill is 100% natural from seed pods of Kapok trees. Kapok is free from any pesticides or checmicals. Kapok is also allergy free. Kapok pillows have a similar feel to down pillows except they are not made of feathers and are much lighter and cooler in my opinion. The memory foam that’s mixed in with the Kapok fiber is Caerti-PUR certified. 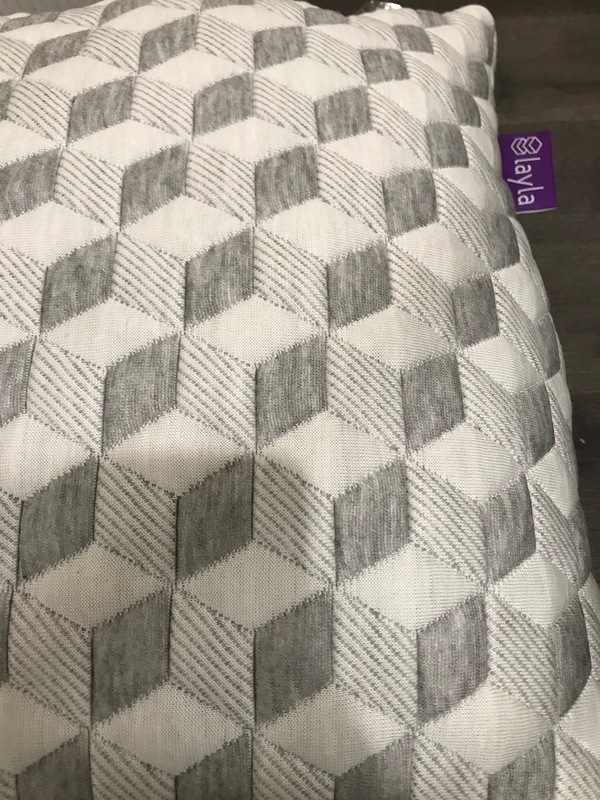 What’s the Layla Pillow Cover Like? The Layla Pillow cover is really nice. The same pattern as the mattress and woven with copper fiber to sleep cooler. Layla has used copper in all of their sleep products so far. Copper helps to dissipate heat in addition to being anti-microbial. Many people also swear that copper releases positive ions that provide a wealth of wellness and health benefits. What Sleep Style Works Best With The Layla Pillow? The Layla Pillow contours naturally with the loft of your head so any sleep style will sleep well on this pillow. What size options are available for the Layla Pillow? The Layla Pillow comes in king and standard size. The king size pillow is $119 and standard costs $99. Layla does have an offer currently running that will give you $25 off on pillows with any mattress purchase. Does the Layla Pillow have a warranty? Yes, Layla offers a 5 year warranty on defects such as stitching, seams, and fading. 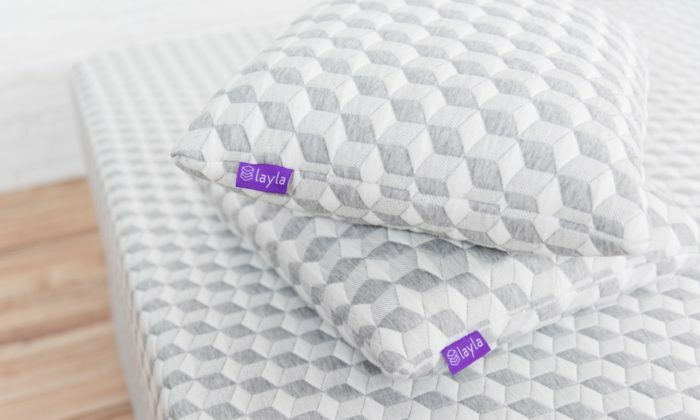 Is there a sleep trial with the Layla Pillow like they offer with the Layla Mattress? 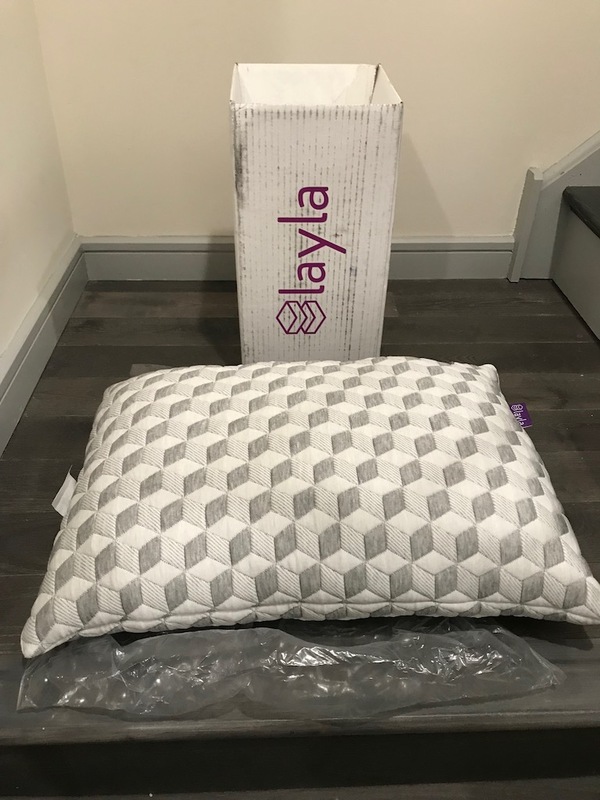 The Layla Pillow comes with a 120-night, money back guaranteed trial period so if you decide for any reason that the Layla is not for you, you will get a full refund within the first 120 nights. They do ask that you give the Layla Pillow 30 days to break in. Start your 120 night sleep trial today.